Attard, J. Bajada, D. Bajada, J. Camilleri, S. Sultana (E. Xiberras), S. Bonello (J. Xiberras), M. Mamo, S.F. Bajada, G. Farrugia (G. Farrugia), T.M. Figuerero Dos Santos, J.G. Vella. Saliba, M. Ciangura, M. Formosa, O. Calleja, L. Meilak, L. Farrugia, M.P. Vega, J. Grech (A. Buttigieg), E. Xuereb (M. Borg), J. Azzopardi, C. Farrugia. 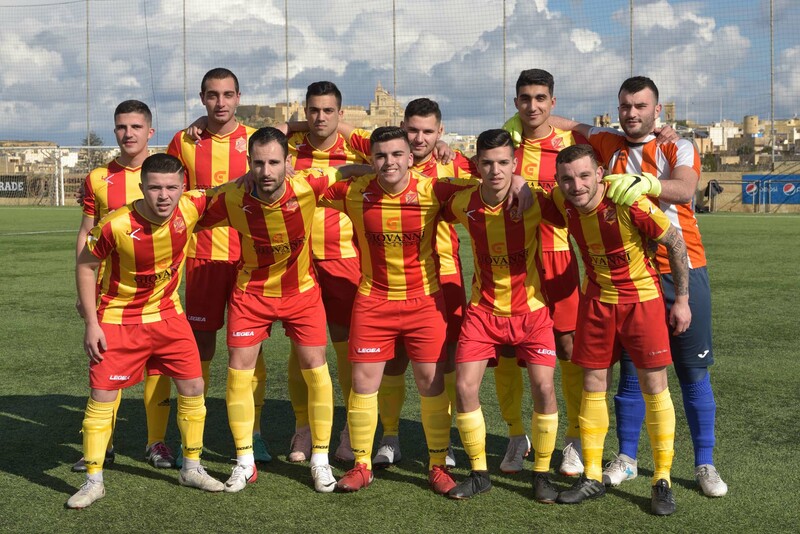 Xaghra United took revenge for the two disappointing results obtained in the previous two matches of the campaign against bottom placed Zebbug Rovers by defeating the same Zebbug in the first match of the third round for the two sides. 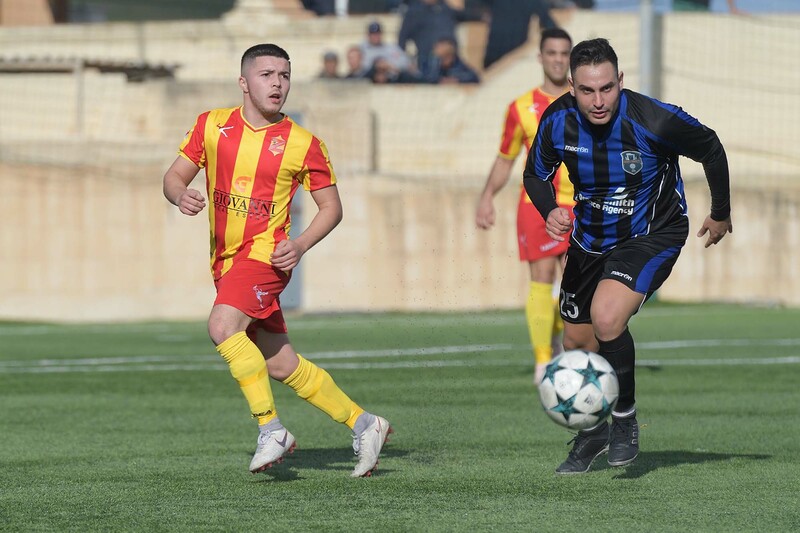 Xaghra needed a win from this match to keep sharing the top position with Sannat Lions, while Zebbug were aiming to earn the third positive result from three match against a more quoted opponent in an attempt to move away from the last place on the table of the category. 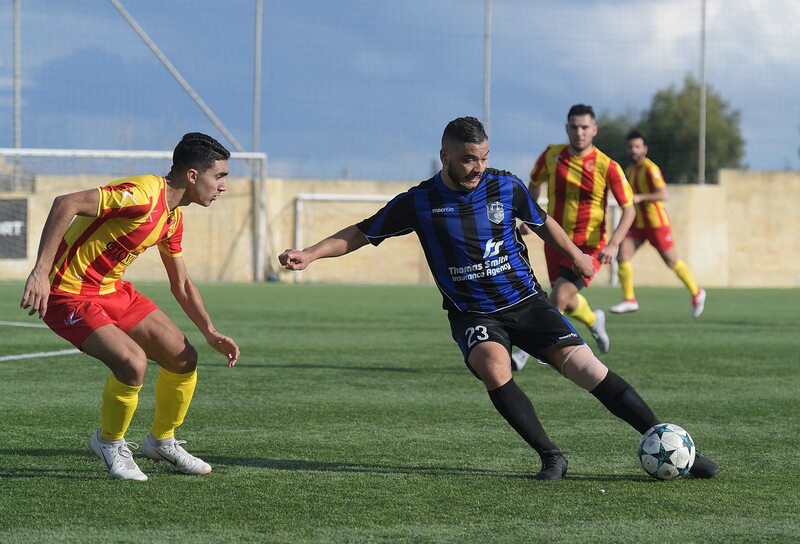 Xaghra prevailed in this encounter as they were more offensive than their opponents and scored the two decisive goals through Thiago Melo Figuerero Dos Santos, who was making a return with the Blues after a long time where he played for other teams in Gozitan football. Xaghra had an excellent start and opened the score in the second minute fo play through a shot on the run by Johnny Camilleri that surprised Zebbu’s defence. The Rovers however had a good reaction and levelled the score on 7 minutes when Marco Ciangura placed past goalie Owen Attard with a shot form an angled position with the ball hitting the post before ending in the net. 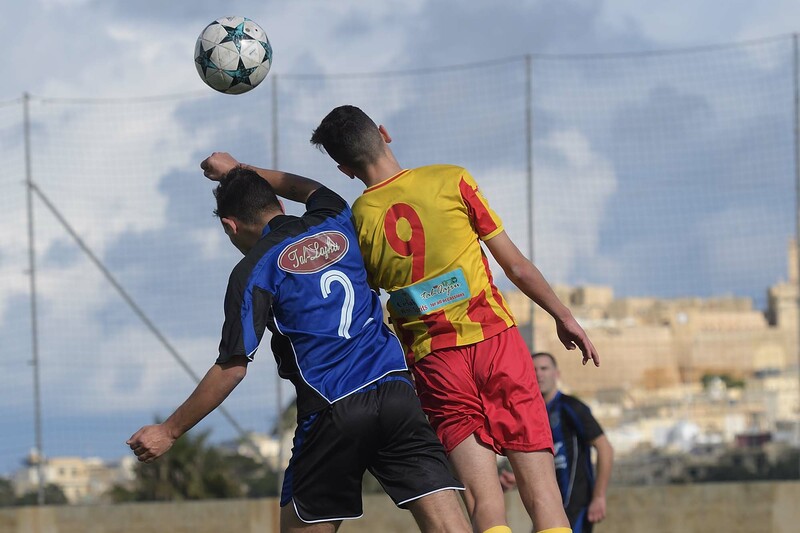 The match became more interesting as Zebbug grew in confidence while Xaghra struggled to take command of play in the midfield. On 16 minutes Zebbug’s goalie Baskal Saliba had good timing to clear the ball to a corner before Thiago Dos Santos could hot from an ideal position and from the resultant corner kick by Marlon Mamo, David Bajada’s effort missed the target. 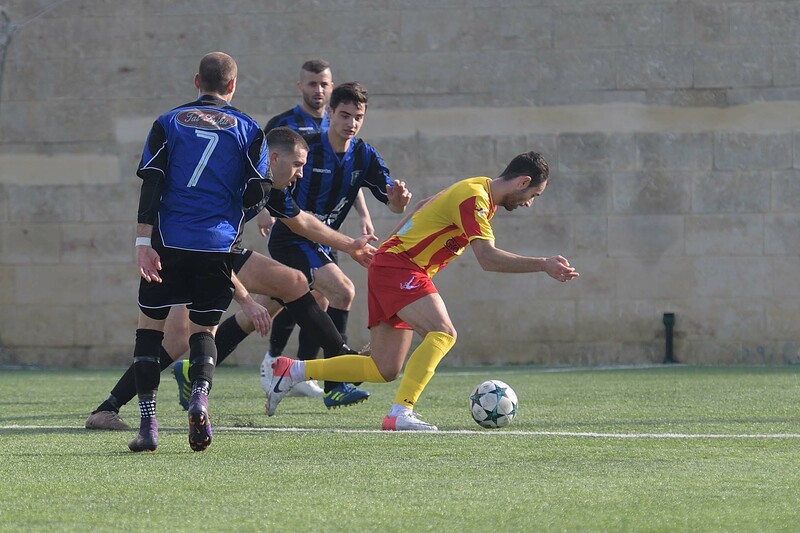 Zebbug repolied on 22 minutes through a good effort by Elijah Xuereb but goalie Owen Attard was at the right place and blocked the danger. Xaghra regained the led on 32 minutes through a fine header by Thiago Figuerero Dos Santos following a corner kick by Joseph George Vella, and two minutes later they could have added another goal but a header by Silvan Bonello following another corner action was cleared off the fatal line by defender Clive Farrugia with the goalkeeper beaten. 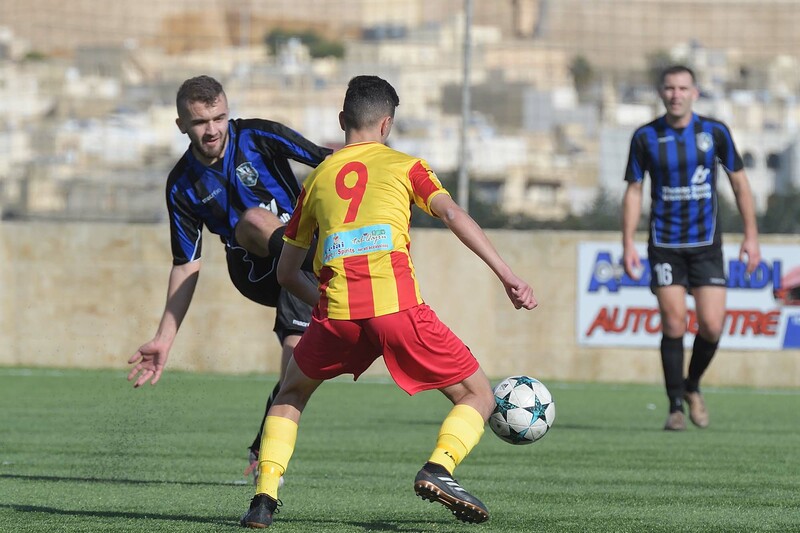 Zebbug tried to increase their efforts after the break in an attempt to recover the deficit and on 52 minutes a strike by Clive Farrugia following a corner action ended just high. On 62 minutes Xaghra went again close to scoring but a good shot by Thiago Dos Santos was well saved to a corner by goalie Baskal Saliba. The same Dos Santos almost took full advantage of a miskick by Zebbug’s goalie on 67 minutes but the Brazilian striker had his low drive aimed towards an open goal saved in two attempts by the same goalkeeper, who managed to recover his position. 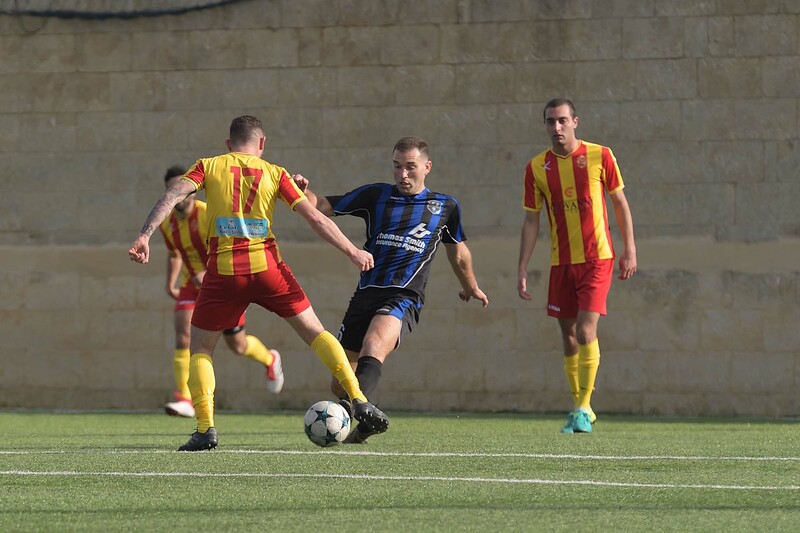 Zebbug went closest to level the score on 75 minutes but a header by Lucas Farrugia following a free kick by Clive Farrugia ended just wide. Xaghra practically made sure of the win with the third goal that arrived on 80 minutes through Thiago Figuerero Dos Santos who took the ball at the edge of Zebbug’s area and placed easily in goal with a low shot. 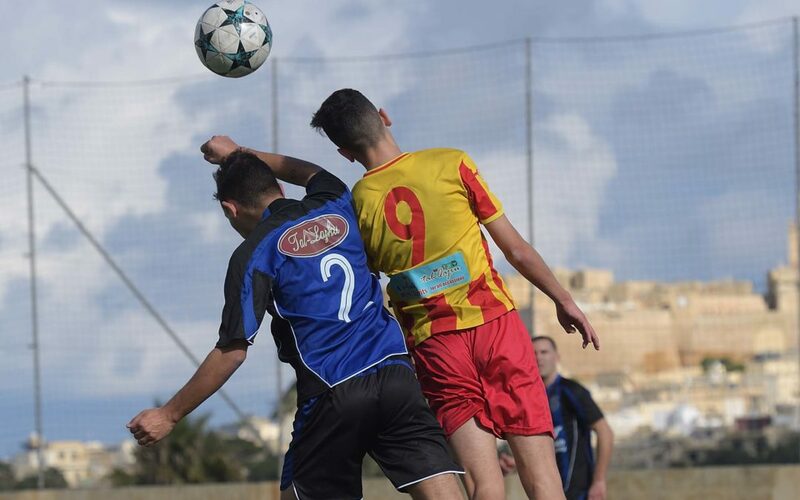 On 84 minutes Xaghra’s keeper Owen Attard made a good save to block a shot from outside the area by Marcos Peres Vega and from the rebound Elijah Xuereb concluded in the net but the goal was disallowed for an offside infringement. 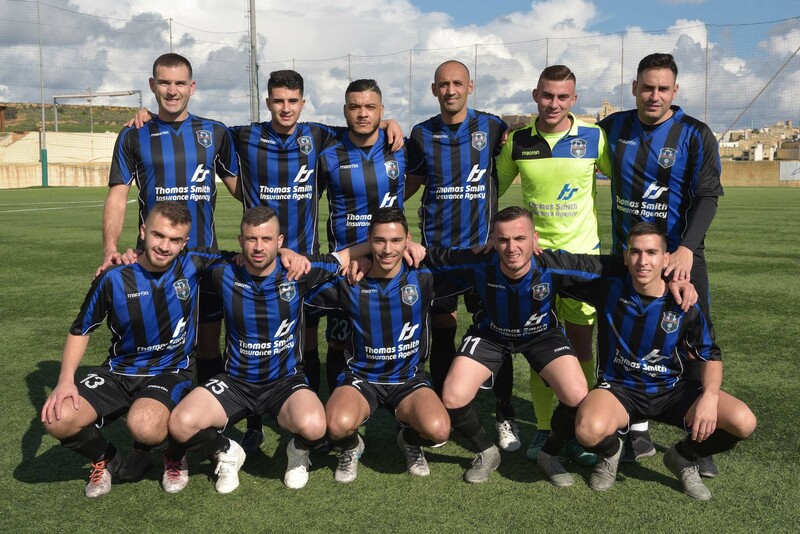 Xaghra went very close to score another goal on 87 minutes when Zebbug’s goalie Baskal Saliba partially saved a low cross shot by substitute Kenny Hili and form the rebound an attempt with a back heel by Johnny Camilleri was again saved by the keeper so that the score remained unchanged until the final whistle.